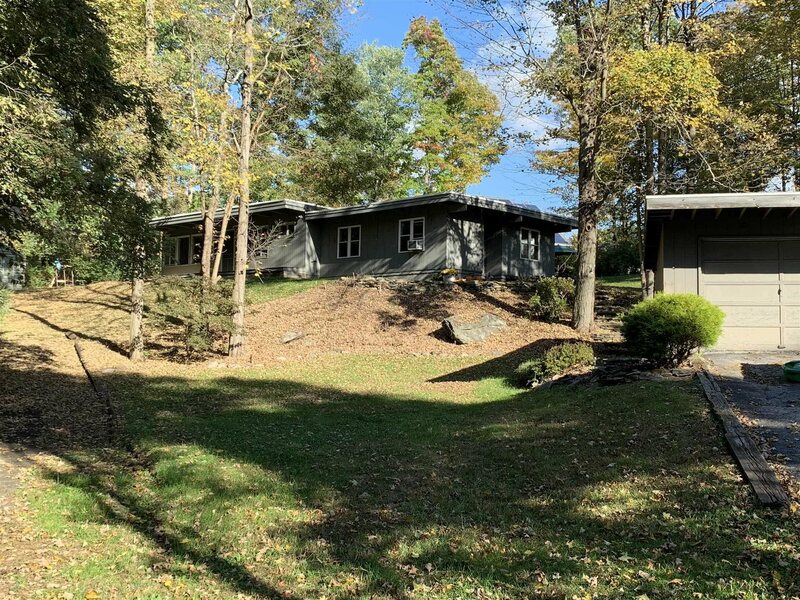 Ideal one level living tucked away on 1.64 private acres. This 2 bedroom, 1 bath ranch in transition...Enter through a bright, open Great room with hardwood floors and beamed ceiling with slider to patio and large yard great for entertaining. Great room plumbed for new kitchen, Spacious Living room with stone fireplace. Lots of possibilities to make it your own! Detached 2 car garage. Great location. Minutes from the Taconic State Parkway, Interstate 84, Metro North, and shopping.